Our spy photographers this week spotted a lightly camouflaged M3 at the Nürburgring, and some subtle modifications made to the tester suggest that it’s for a new M3 CS model. Yes, BMW seems to be making use of its multiple CS trademark filings which range from “M1 CS” through to “M8 CS.” The first was the M4 CS that BMW unveiled in April at the 2017 Shanghai Auto Show. Given the close relationship between the M3 and M4, expect their respective CS models to feature a similar specification. 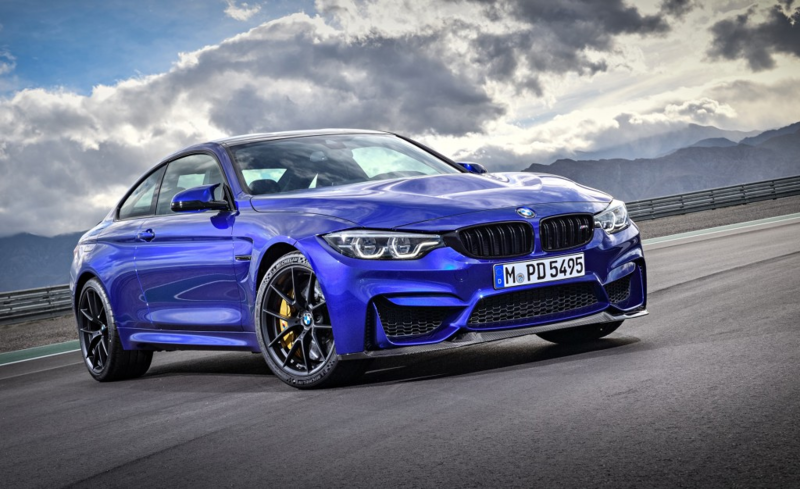 This means the M3 CS should run a 3.0-liter twin-turbocharged inline-6 rated at 454 horsepower and paired with a 7-speed dual-clutch transmission. This should enable a 0-60 mph time of less than 4.0 seconds and a top speed approaching 175 mph. Additionally, the M3 CS looks like it will boast the M4 CS’s visual cues such as a carbon fiber hood, more aggressive ventilation openings, and unique rear spoiler. There should also be plenty of lightweight elements in the cockpit. Note, this is likely to be the final iteration of the current F80-series M3. BMW is about to launch a new generation of its 3-Series, and the car naturally will have its own M3 variant.